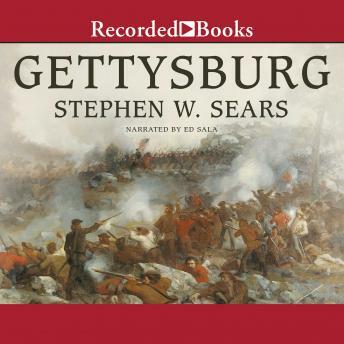 Best-selling author and acclaimed Civil War expert Stephen W. Sears, hailed by The New York Times Book Review as 'arguably the preeminent living historian of the war's eastern theater,' crafts what will stand the test of time as the definitive history of the greatest battle ever fought on American soil. Drawing on years of research, Sears focuses on the big picture, capturing the entire essence of the momentous three-day struggle while offering fresh insights that will surprise even the best-versed Civil War buffs. Unless you are a history major and have to write a long report on Gettysburg, this book has way too much numbing detail that gets in the way of the larger picture.